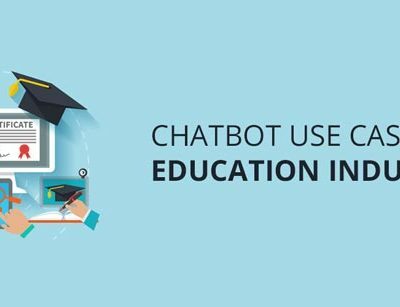 A Well trained chatbot can replace human agents to provide 24 x 7 assistance over any messaging application like Facebook Messenger, Whatsapp Personal & Business, Skype, Telegraph etc , Customers don’t need to install any 3rd party app, call your phone number or search over your website to gather information about your property instead they can directly interact with your chatbot anytime. Purpose of the above promotion is either to create brand awareness or to generate leads, A WhatsApp business number or Facebook page powered by an AI chatbot can be included in all type of promotions and asking your customers to send just hello (or any keyword set by you) to know more about your property or book the property. Customer engagements can be increased by 50% from all social media / digital campaigns by deploying a chatbot across all your marketing activities. 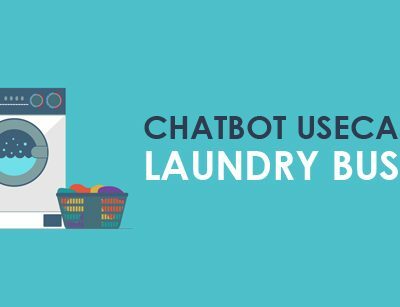 What Chatbot Really Can Do ? Now the chatbot search for the above criteria and suggest the best property to the customer. You can use picky assist platform to send promotional messages , videos, links and images to the potential customers whatsapp or facebook messenger. Send greeting messages to the customers who have visited your stall during an exhibition. We have discussed about presales now let’s consider that the customer has booked the property and required a wheelchair while checking in , by quoting the booking ID the customer can simply send a WhatsApp message to the hotel number and place the request. Also all room services which were offered through a phone call can be offered through whatsapp or facebook messenger. This will be a very unique and exciting experience for your guest which they will never forget as they can handle everything right away from their mobile phone. Now it’s time for the guest to checkout, but the business doesn’t end here your customer can bring more customers and those customers can further bring more and more customers to your property so it’s very important to understand how was their experience with your property. Guest generally don’t show much interest towards the traditional long feedback form or email surveys, collect the feedback from your guest in an interactive way either with a small game or quiz which can conduct by a chatbot and on completion of the game/quiz/feedback you can offer some discounts for their next visit so that they choose your property again or pass the coupon to any other customers. The business doesn’t ends here, increase the loyalty by sending them a birthday or anniversary wish directly to their WhatsApp or Facebook Messenger with an attractive image. Your greetings will certainly takes them into those golden memories they have spent in your property. Sending promotional images and videos. information practices. User may have Picky Assist’s promise that Picky Assist shall not electronically process customer’s personal and/or business information in any way that is incompatible with the policy. Picky Assist respects the privacy of its Users need, and therefore does not use data collected from its Customers, whether order information or personal information, for any purpose other than for preparation of reports. With respect to security: Picky Assist has got appropriate security measures in place available in Picky Assist’s physical facilities to protect against the loss, misuse or alteration of information that Picky Assist has processed from Users end. If required in response to a subpoena, court order of verified administrative body requesting disclosure of a transaction, Picky Assist may disclose the limited amount of Personally Identifiable Information as may be required in legal proceedings. Picky Assist will limit the scope and will only disclose that information, which is required. Phone Make &amp; Model details for creating your account and we read all incoming messages from different OTT Messaging app installed in your mobile phone as per the consent given by you in order to automate the OTT messaging. At any point of time the users can turn on and off the access given to read and push the messages received in OTT messaging app. Demand from our fraud monitoring team in case of any suspicious activity / event. We store all users personal details in industry standard encryption format, push and pull messages from your OTT messaging app is stored as unencrypted for showing and preparing the detailed reports. To remember your choices, such as your language preferences, and otherwise to customize our Services for you. To secure you by marking your computer or mobile phone as trusted device. Picky Assist. renders its services via the following Internet website https://www.pickyassist.com/ on principles set out in this terms and conditions document. By accepting these terms and conditions, the user confirms to have read, understood and accepted its contents. Accepting these terms and conditions is a condition to use products and services provided by Picky Assist. All users are obliged to observe these terms and conditions. periodically familiarize with the currently effective Terms &amp; Conditions version on our Internet website https://www.pickyassist..com. to accept these modifications. Refusal to accept these modifications shall preclude the user from using the offered products and services. All software, used by users in accordance with its application and purpose defined in these terms and conditions, available on the following website https://www.pickyassist.com/ and provided by Picky Assist. shall be deemed as service or product. The use of any new services and products available on aforementioned website, after the user has accepted the terms and conditions shall be subject to its provisions. Picky Assist. is exclusively entitled to decide on functionality, the use, subject matter and the range of particular services and products as well as to cease rendering these services. Picky Assist. is exclusively authorized to decide on the contents and the nature of the software as well as to freely add, change or remove particular elements. Picky Assist. services and products are exclusively designated for business use and must be used only in accordance with their purpose, application and their general characteristics. Picky Assist. services and products can be accessed solely by logging on particular website. Every user is assigned a particular password and login which must not be used by third parties without the user’s consent. The user is responsible for keeping and proper security of his password and login. The user must be at least 13 years of age to be able to register and to access his or her Picky Assist account. The user undertakes to use the services and products in accordance with their use, purpose and in the manner consistent with both these terms and conditions and provisions of currently effective law. The user bears full responsibility for all contents, phrases and entries added to the network in connection with the use of offered services and products. The user understands, has become familiar with technical requirements necessary to use the services and products and has no objections in respect thereof. The user is aware of risk and threats connected with electronic data transmission. Picky Assist. reserves the right to access individual users’ accounts for the technical and administrative purposes and for security reasons. The obtained information in such a manner shall not be processed or made available to third parties unless required by provisions of law. All writings and works of authorship relating to the Intellectual Property created by Picky Assist (including but not limited to software, mobile application, source code, blueprints, diagrams, flow charts, modifications, enhancements or changes made by) shall be owned by Picky Assist. To the fullest extent permissible by applicable Laws, User agree that they will not, nor will they allow others to, reverse engineer or disassemble any parts of the Picky Assist’s Intellectual Property Products. All software including all translation, modification, adaptation or derivation of the same provided or created by Picky Assist and all systems and data-bases provided hereunder by Picky Assist to Users in connection with the Services or Products, and all new modules or services, copies, enhancements, improvements, new versions or updates associated therewith (collectively, the &quot; Picky Assist Products&quot;), are Picky Assist’s exclusive property and all right, title and interest therein remains in Picky Assist. All software programs and documentation with respect to Picky Assist Products are copyrighted and/or patented by Picky Assist. All software including all translation, modification, adaptation or derivation of the same provided or created by User and all systems and data-bases provided hereunder by User to Picky Assist in connection with the Services or Products, and all new modules or services, copies, enhancements, improvements, new versions or updates associated therewith (collectively, the &quot;User’s Products&quot;), are User’s exclusive property and all right, title and interest therein remains in Users. The Picky Assist’s Products and the User’s Products are hereinafter collectively referred to as the &quot;Intellectual Property Products&quot;. Except as expressly permitted above, users agree not to sub-license, license, rent, sell, loan, give or otherwise distribute all or any part of the Intellectual Property Products to any third party. The use of offered services available on https://www.pickyassit.com / is free of charge for the first 30 days. After that period if the user wishes to continue using our services he will be requested to make a payment according to currently effective price list. All payments shall be non-cash transactions, conducted electronically by Paypal. Default in payment according to currently effective price list means resignation from the provided services. The receipts for all payments will be provided electronically and stored in the product as PDF files. The user shall be given a 14 day period notice of all changes in the price list. Regardless of the billing cycle, we provide no refunds or credits for unused time of the service or plan downgrades if you decide to close your account before the end of your subscription period. There will be no exceptions in order to treat all users equally and to keep our administrative costs low for the ultimate benefit of our customers. Details for trial license, paid subscription and cancelling license are described on the refund policy page. The user may close his account at any time. Account closing means that the further use of services with the use of current password and login shall no longer be possible. The user is responsible for closing his account. Closing the account by the user before the end of settling period for which a payment has been made does not obligate Picky Assist. to refund the amount for the unused period. Picky Assist. reserves the right to close user’s account due to gross infringement of the provisions of these terms and conditions or in the event of illegal use of the offered services. Picky Assist. shall not be liable for damage suffered by the user arisen due to the suspension or closing the account by the user or for other reasons arising from the user’s fault. Picky Assist. guarantees the highest quality of its operations to ensure accessibility and continuity of offered services and products in accordance with their use and purpose. No long distance data transmission, however, guarantees 100% security, continuity and accessibility of the provided services. Picky Assist. does not guarantee compatibility of offered services and products with other producers’ software. The user shall bear responsibility for the choice and consequences following from the use of other software including its applicability to user’s objectives. Picky Assist. stipulates that opinions given by users do not reflect in any possible manner its views and opinions. Picky Assist. does not monitor or control users’ opinions on a continual basis; if, however, any opinions in breach with these terms and conditions should be revealed efforts shall be immediately made to remove them as soon as possible. Consequences of failure to perform or improper performance of obligations undertaken by other users even though such an obligation has been undertaken using offered products and services. All disputes arising in connection with these terms and conditions shall be primarily resolved amicably. All disputes that cannot be amicably resolved shall be submitted for resolution by Common Court of Law at the location of Picky Assist. registered office.